YOU+2 is a special recruitment campaign that seeks to find new Big Brothers for the nearly 300 Little Brothers who are waiting to be matched. 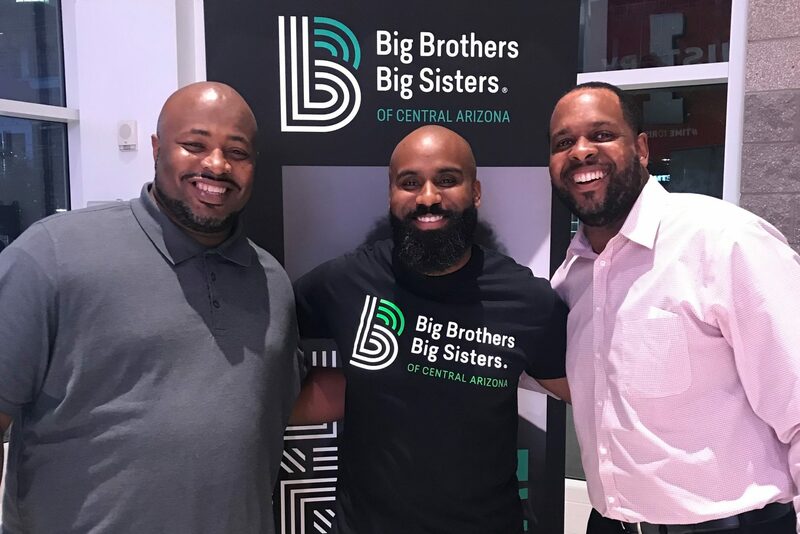 Despite the 1,542 matches that BBBSAZ successfully completed last year, it still takes an average of 1-2 years for a Little Brother to be matched. Our YOU+2 campaign strives to change that. YOU+2 will sign up 100 volunteers who not only commit to becoming Bigs but commit to challenging two of their friends to become Bigs, too. 100 volunteers and 200 of their friends give us the 300 matches we need to reduce our current waitlist to zero. With you and your friends joining YOU+2, you can be a part of something BIG. Just by showing up and being present, you can improve the overall self-esteem of a child and decrease their chances of abusing drugs or alcohol. Don’t believe it? Studies show that after 18 months of Bigs and Littles spending time with one another, children in our program compared to those who weren’t, were 46% less likely to begin using illegal drugs, 52% less likely to skip school, and more. You can be that positive change of course in their future. So go out and grab 2 classmates, friends, co-workers, or anyone that you know of who is ready to have fun. Who is ready to be that change in a child’s life. Imagine this; you and 2 of your friends all getting matched to a Little who is in need of a friend or a mentor. Next thing you know, all three Littles are on track to become the next Neil Armstrong who can paint like Picasso! But before they can see that in their future, they need someone like you to help them ignite their potential. Someone to help guide them into that path. And that someone is not only you but YOU+2. Think of anyone specific that made a difference in your life? Or someone you would’ve liked to have in your life growing up? Be that someone to a Little.